Quiet, intelligent, and gentle dogs. 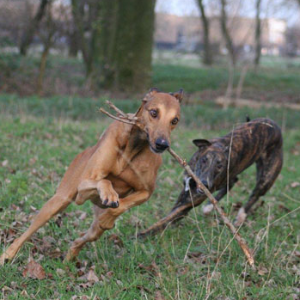 Greyhounds learn well with reward-based training using treats or favorite toys. 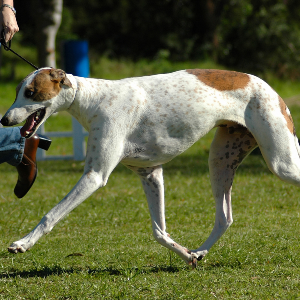 Often enjoy dog sports such as lure coursing, racing, agility, tracking, rally and competitive obedience. Looking at old temple carvings, you might think those are Greyhounds accompanying primitive man on hunts. You wouldn’t be alone either. 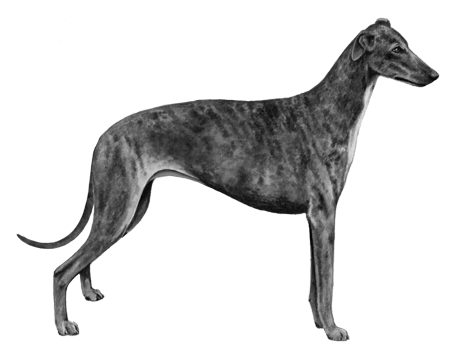 Many have noticed today’s Greyhound is strikingly similar to many carvings that date as far back as 6000 BC. 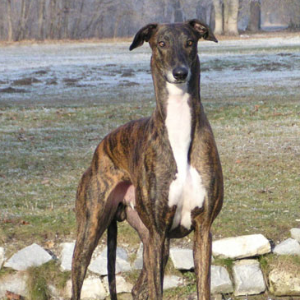 The Romans believed that Greyhounds came from Western Europe while the Celts thought they were from Greece. It is the Spanish who are credited with taking them to the New World during the 16th century, however. 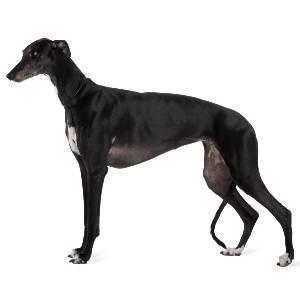 In the 1800s, they were used for controlling the jackrabbit population – which was when farmers recognized their competitive nature and Greyhound racing was born. 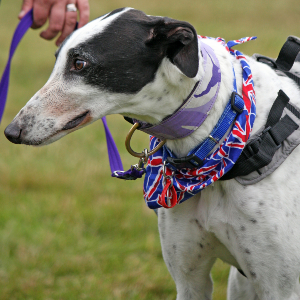 Affectionate and gentle, these dogs are always winners in our book.